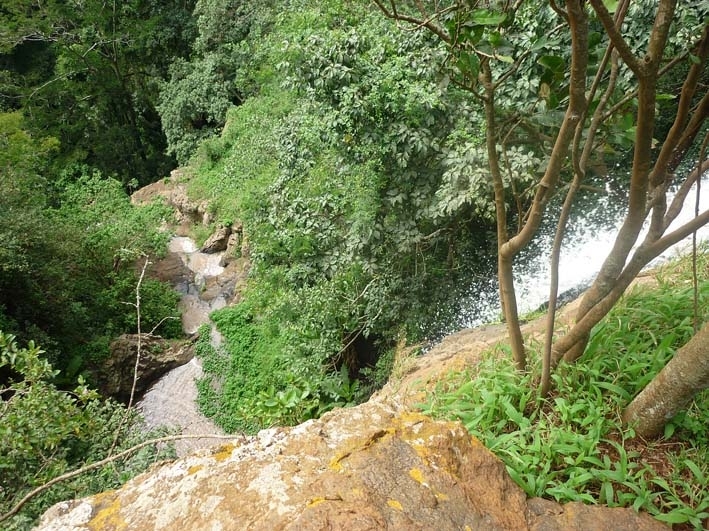 Within a few minutes walk of the lodge, you will find nature trails suitable for hiking, bird-watching, animal viewing, plant identification and, one which leads to a waterfall. Or, you can visit the Elephant Caves where, for centuries, the elephants have dug into the hills for necessary minerals and vitamins needed for their daily diet. 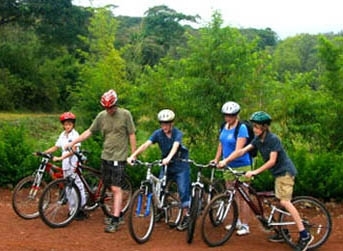 A bicycle tour through the local village of Karatu is one of the options available during your stay here. During the tour you will visit the primary and secondary schools in the area or, you can stop and match your talent against the local woodcarvers. A visit to a brick factory and distilleries is also possible. Lake Eyasi is situated almost a 2-hour drive from Karatu and it’s shores are home to the last remaining bushmen of Tanzania. 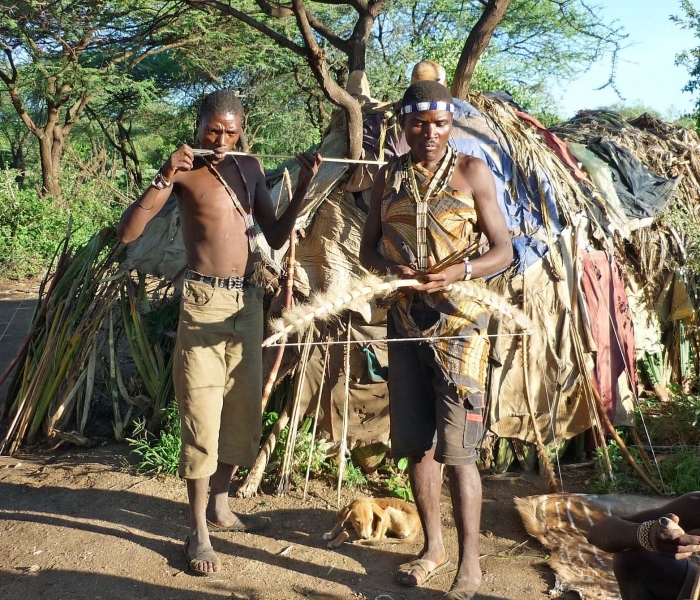 This ethnic hunter-gatherer tribe lives in a traditional way in small, tent-like huts which can be quickly erected and, just as quickly, dismantled. The bushmen are nomads, staying at a place only as long as nature can provide them with food. During your tour you will have the possibility to either join the young men on a hunt where, with bows and arrows, they catch birds or small mammals or, to listen to the elders play their homemade string instruments.